5 How Does the Brain Influence Movement and Posture? The causes of cerebral palsy. What cerebral palsy looks like. How the brain influences movement and posture. Has anyone ever told you why your child is not developing as expected, or why your child is disabled? What has the doctor or nurse told you? What do your family or neighbours say about your child? Can other children catch cerebral palsy? Is it contagious? NO. It cannot be passed from one child to another. Are all children with cerebral palsy the same? Will my child die from cerebral palsy? Cerebral palsy normally does not affect life-expectancy. Your child with cerebral palsy will grow up to be an adult with cerebral palsy. However, some of the complications of cerebral palsy (for example, severe postural problems leading to decreased lung capacity) can be life threatening. Can children with cerebral palsy go to school? All children have the right to education. Generally speaking, in South Africa parents and teachers have low expectations of children with cerebral palsy. What do you expect of your child? Remember, all children have the right to education, and that includes children with cerebral palsy. From what backgrounds do children with cerebral palsy come / Do they live in cities, or on farms? Are they rich or poor? From all backgrounds. There are children (and adults) with cerebral palsy in every country of the world. And from every city, or town, or rural area. There are poor communities with children with cerebral palsy, and rich communities with children with cerebral palsy. It is commonly accepted that about one in every 400 children all over the world has cerebral palsy. 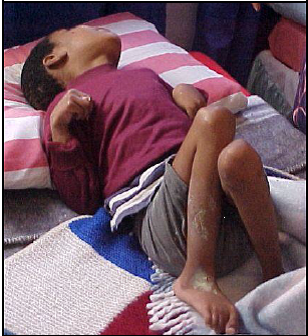 There are no known published statistics about the incidence of cerebral palsy in South Africa. Do children with cerebral palsy always have below average intelligence? Cerebral palsy cannot be cured. Early help and training can help children‟s development. 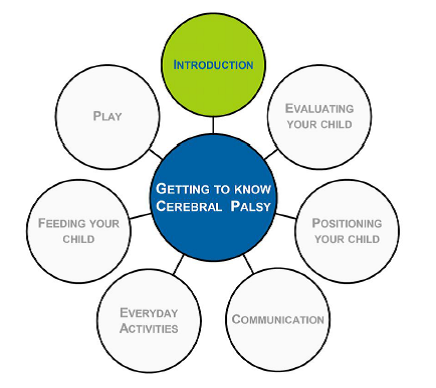 Remember your child with cerebral palsy will develop into an adult with cerebral palsy. Searching for a cure will only bring disappointment. Rather help your child to become an adult who can live with her disability and be as independent as possible. Sometimes, when a child is older and her muscles have become very stiff over a long time, operations can be done, or very strong medication can be used, which can help the child to sit or lie more comfortably. No. The damaged parts of the brain do not get better, but neither do they get worse. The child‟s movements, body positions and the other problems we spoke about can become more obvious as the child gets older, and seem worse, but they can also be improved. It depends on the amount of damage, and on how we handle and position the baby/child. The earlier you start to help your child to learn, the more she can develop. Sometimes, illnesses that affect the brain, like meningitis, or very severe prolonged bouts of epilepsy, can cause further damage to the child‟s brain. Such a child‟s disability will probably then become worse. 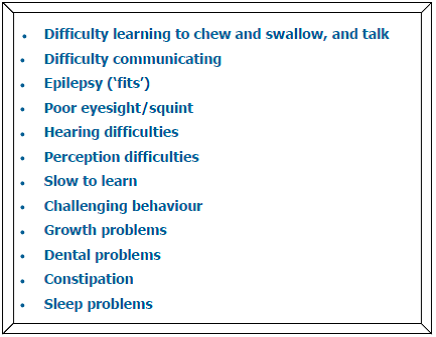 Now that we have discussed what cerebral palsy is, let‟s look at what the causes of cerebral palsy are. The following table show all the risk factors that are associated with cerebral palsy – either before, during or after birth. No cause can be found in about 30% of children. Drugs are not good, as they disturb the brain. Drugs are substances such as alcohol, tobacco, cocaine, glue, and non-prescription medication. If a pregnant mother uses drugs, they move through the blood to the umbilical cord and, from there, to the child which may cause damage to the child's brain that is still developing, e.g. a drunken person doesn't walk properly and his mind does not function well. In the same way, any drugs the mother takes will affect the child. If the mother has high blood pressure, her blood vessels become hardened or narrower. The blood circulation decreases, and the child won't receive enough blood and oxygen. When the blood of the mother and child doesn't go together well, there may be blockage. This may result in the clotting of brain vessels. HIV / Aids - If a pregnant mother is HIV positive, there is a greater chance of her giving birth to a child with cerebral palsy than when the mother is HIV negative. The risk of cerebral palsy is also higher because the mother may already be immune-compromised or malnourished. Neurosyphilis - This disease is curable but, if left untreated, it may cause a child to become disabled or blind. If there was an attempted abortion, the child's brain may be affected. If a mother falls pregnant when she is over 40 years old, especially if it is her first child, her child may have cerebral palsy. When the mother is already older, her pelvic bones are hardened, as they haven't opened before. Delivery can be expected to be more difficult. The baby does not breathe soon enough and becomes blue and limp. In some areas, mis use of hormones (oxytocics) to speed up birth narrows the blood vessels in the womb so much that the baby does not get enough oxygen. The baby is born blue and limp-with brain damage. These are mostly large babies of mothers who are small or very young. The baby's head may be pushed out of shape, blood vessels torn, and the brain disturbed. Babies born before 9 months and who weigh less than 2 kilos (5 pounds) are much more likely to have cerebral palsy. In rich countries, over half the cases of cerebral palsy happen in babies that are born early. Developing jaundice, which is a sign of an immature liver, may affect the central nervous system. Very high fever due to infection or dehydration (water loss from diarrhoea). It is more common in bottle-fed babies. From meningitis or encephalitis. There can be many causes, including malaria and tuberculosis. This can be from accidents, falling, and baby battering. From near drowning, gas poisoning, severe pneumonia or TB, or other causes. From lead glazes on pottery, pesticides sprayed on crops, and other poisons. No two children look exactly the same. It is important to remember that cerebral palsy affects every child differently. However, there are some broad categories which describe the main ways in which a child can be affected. 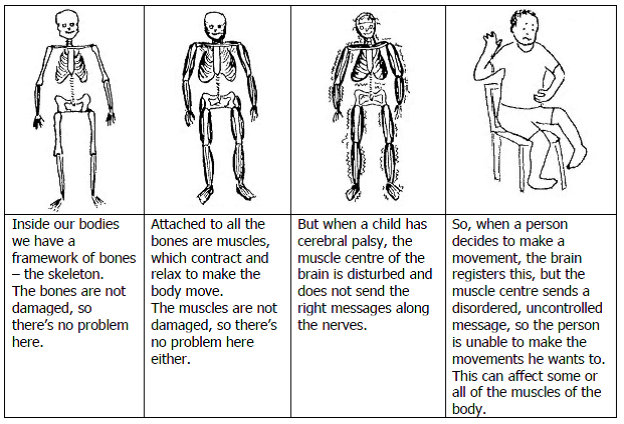 Let‟s look at these different ways that cerebral palsy can appear. We‟ll start with the child whose muscles are stiff. Medical people will call this "spasticity‟ or "hypertonia‟. The child who has has muscle stiffness, or 'muscle tension'. This causes part of her body to be rigid, or stiff. Movements are slow and awkward. Often the position of the head triggers strange positions of the whole body. The stiffness increases when the child is upset or excited, or when her body is in certain positions. The pattern of stiffness varies greatly from child to child and she has no control over these movements. These are children with stiff muscles. Notice the positions that the stiff parts of the body go into. Another type of cerebral palsy is when the child‟s muscles are very floppy. This is called „hypotonia‟. Children who have very floppy muscles often look like the children in these pictures. The floppiness of the muscles can make it difficult for the child to move easily, and she may get tired quickly, for example when trying to sit by herself. When she lies on her back, her legs will often flop outwards. Here‟s another way a person may be affected: instead of stiff or floppy muscles, they may have uncontrolled muscles movements. Medical people will use the word "athetosis‟. These children move too much. They have difficulty staying still and stable. It can be slow, wriggly, or sudden big movements of the child's feet, arms, hands, or face muscles. Stiff movements or positions like those shown in the section of muscle stiffness may continually come and go. When the child tries to move, her body parts move too fast and too far. Her balance is poor and she falls over easily. Many children with athetosis have normal intelligence, but if the muscles needed for speech are affected, it may be hard for them to communicate their thoughts and needs. 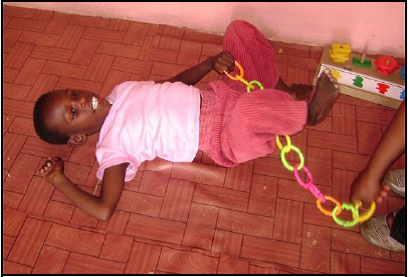 and now for the final way in which a person may be affected, where the child with cerebral palsy has poor balance. This kind is not so common, and it is called "ataxia"
The child who has 'ataxia', or poor balance, has difficulty beginning to sit and stand. She falls often, and has very clumsy use of her hands. All this is normal in small children, but in the child with ataxia it is a bigger problem and lasts longer (sometimes for life). If you put your hand on this child„s head, you may feel a constant „shake‟ under your hand. 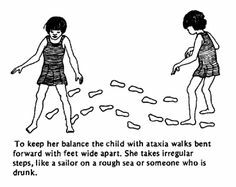 To keep her balance the child with ataxia walks bent forward with feet wide apart. She takes irregular steps, like someone who is drunk. Now that we have learned about the different types of cerebral palsy, it is also important to note that many children may have more than one type at the same time. For example, a child could have floppy muscles, and uncontrolled movements, in different parts of her body. 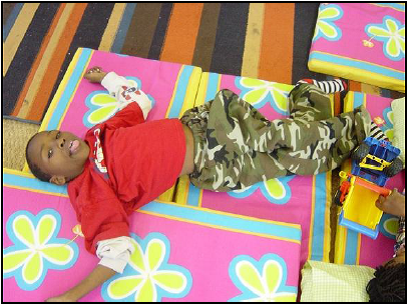 Children with any type of cerebral palsy are often mainly limp or floppy as babies. Stiffness or uncontrolled movements begin little by little. Or the child may be limp in some positions and stiff in other. How Does the Brain Influence Movement and Posture? Look especially at the words “brain” and “damage” and “movements”. 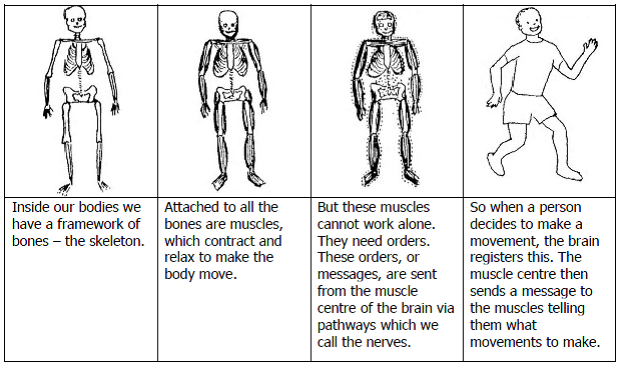 The following pictures show how the brain helps, or, with cerebral palsy, does not help, a person's muscle movements. Our brain controls everything that our body does: not only controlling our muscles that allow us to move; but also controlling things that we cannot see physically, such as our memories and thinking. Our brains do many things, and have many parts to them. All parts are connected to the others, and work together. 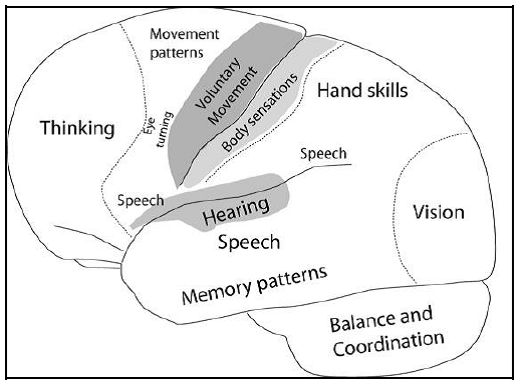 As you can see, there are different areas of the brain that control the different things. Remember, cerebral palsy occurs when there is damage to PARTS of the brain. It is not the whole brain that is damaged. That means that there are other parts of the brain that are not damaged and that are working well. and how we handle and position the baby/child. The earlier you start to help your child to learn, the more she can develop. We have learned that „cerebral palsy‟ is damage to part of the brain that controls movement and posture. We have also learned that different parts of our brain control different functions. So children with cerebral palsy may have other problems apart from difficulty with body movements. Remember that children may have one, a few, many, or none of these associated conditions. 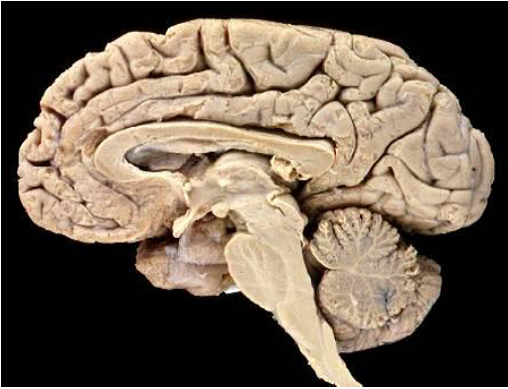 Some conditions may be directly from the brain damage, and some come as a result of slow development, frustration etc. The descriptions below give you more information. Some of these associated conditions will be covered in depth in later modules. preparation for learning to speak. Try to feed her some solid food so she can learn to chew. With encouragement and opportunity, many children with cerebral palsy learn to speak, although the words may not be clear enough for other people to understand. Difficulty communicating The child‟s words may not be clear enough for you or other people to understand. In this case, the child‟s needs would have to be expressed in other ways, such as pointing, with her hand, or foot, or eyes; or using gestures…. It is vital that some way is found for communication. Some children with cerebral palsy may develop epilepsy (fits, seizures, convulsions). Medication isnoften used to control this. Many young babies do squint from time to time, but this stops as they get older. Children older than six months with a squint should be taken to an eye doctor because neglecting it can mean that the child only uses one eye. A few children may need an operation. Others will be helped by wearing glasses prescribed by an eye doctor. Later, a specific eye problem can lead to a learning difficulty. Get your child checked to see if this may be a problem. Some children, especially those with athetoid cerebral palsy, may have difficulty hearing. This makes learning to speak more difficult. If you think she has a hearing problem, consult a doctor. Some children can be helped with a hearing aid. Remember, communication is vital. This is a problem with the brain not being able to make sense of what the child sees or hears or touches, and not necessarily with her eyesight or hearing. The child may be overly sensitive or she may be less sensitive than usual to sensory information like sounds or touch. About half the children with cerebral palsy are slow to learn (intellectual disability). They cannot learn many school-type skills, or basic skills to look after themselves. Others, especially those with athetoid cerebral palsy, have average or good intelligence. Children who cannot talk clearly or control the muscles of their face very well are often thought to be mentally slow. This is not always so. The part of the brain that controls talking and muscles is different to the part that allows you to understand and think. Some children have special difficulty learning acceptable and appropriate behaviour. Many children with cerebral palsy also have an intellectual disability. This means they cannot reason well or understand their environment fully. Challenging behaviour most frequently happens within this group, and especially where someone cannot communicate effectively (causing frustration and anger). However, some children without intellectual disability also have challenging behaviour (like attention seeking). Babies with eating difficulties may be slow to gain weight. Older children may be thinner than usual because they move about less and their muscles do not develop. This can be clearly seen in children with hemiplegia, where the affected arm and leg are usually thinner and shorter than the other arm and leg. Other children on the other hand, may be fed too much, and gain too much weight, which makes many activities and handling more difficult. Some medications may increase the risk of gum disease. Dental problems often occur in children who have difficulty controlling how they open their mouth, have a bite reflex, or have poor control of their tongue muscles to remove food pieces between the teeth and are reliant on others to clean their teeth for them. This is very common in people with cerebral palsy, especially in those who move less. A poor diet related to poor eating and swallowing and inadequate fluid intake are the main reasons. Lots of children have difficulty sleeping. But in children with cerebral palsy, there may also be physical causes, such as discomfort, or having to be turned regularly, or breathing difficulties. Some medications may interfere with sleep.